We are profound manufacturer, supplier and exporter of a range of Medical Waste Incinerator. 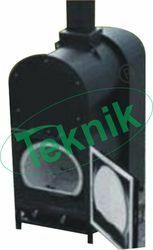 These Incinerators are built to the need of our customers to improve the environment to control hazardous solid caste. The incinerator reduces most combustible solid wastes to nearly 2-3 percent by weight. We design an build incinerators for specific needs Ibr specific wastes. 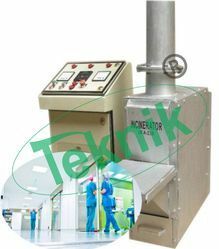 Our Electronic Bio Waste Medical Incinerator consists of scrubber. The construction is modular and individual components are easily assembled at site. We are manufacturer, supplier and exporter of a wide range of Combustible Waste Incinerator which are built to the need of our customers to improve the environment to control hazardous solid caste. The incinerator reduces most combustible solid wastes to nearly 2-3 percent by weight. We design an build incinerators for specific needs Ibr specific wastes. 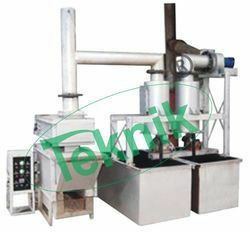 Our Bio Waste Oil Fired Medical Incinerator also consists of Oil tired burner. We offer a wide range of Electronic Biowaste Medical Incinerator which are manufactured using high quality materials as per industry standards. These Incinerators are built to the need of our customers to improve the environment to control hazardous solid caste. The incinerator reduces most combustible solid wastes to nearly 2-3 percent by weight. We design an build incinerators for specific needs Ibr specific wastes. Our Electronic Biowaste Medical Incinerator consists of electric heating elements. Looking for Medical Incinerator ?